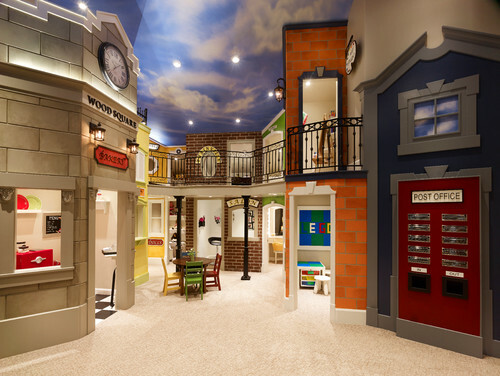 Playrooms present you with a special opportunity when it comes to home design. You can be as whimsical and original as you would like, because when it comes to children’s playrooms, the more imaginative, the better. 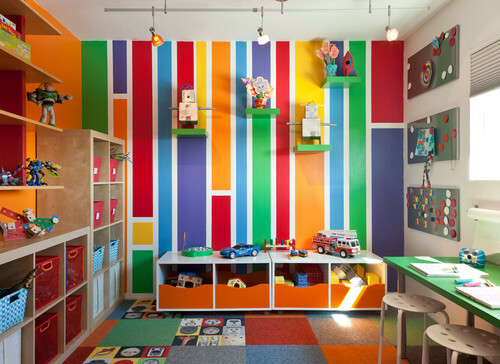 Here are some great ideas to take your playroom from lackluster to inspired while still keeping it practical! Chalkboard paint is available at your local home improvement store. 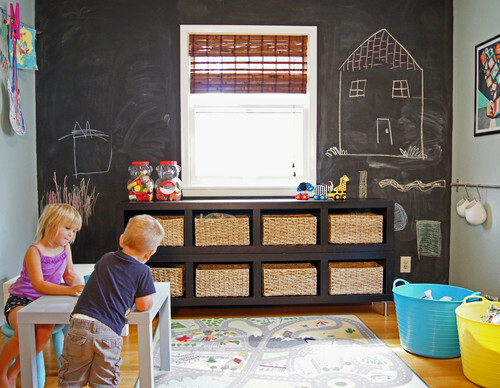 Creating a wall that children can draw on isn’t only fun for them, but adds a great and changing design element to the room. Find a fun and fantastical theme for your playroom and just run with it! It can go as far as you’d like it to, and may make it easier for you to incorporate design elements since it gives you a sort of design blueprint to follow. This is your chance to go crazy and incorporate all the colors that may not have a place in the rest of your house. 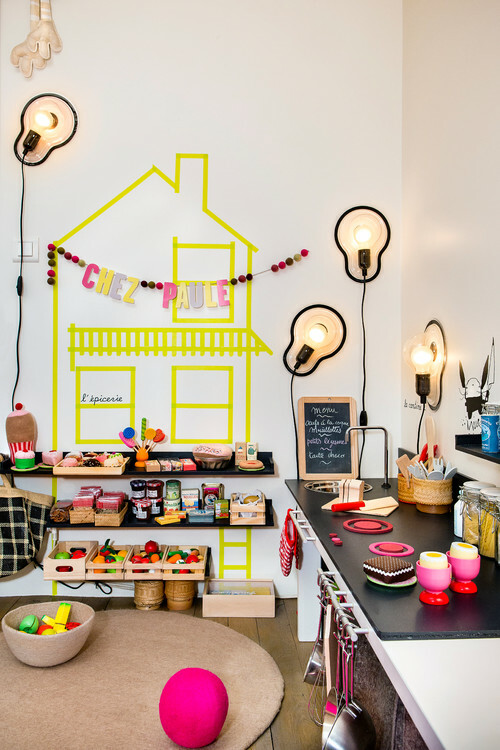 Bright colors and fun color combinations are great to add to your child’s playroom. Ask your kids what colors they want and go with it! You can take it up a notch by mapping out an interesting design and painting it on the wall. A playroom is a room for play, after all. If you can, add elements such as slides and swings to your playroom. You can even suspend seating from the ceiling or build a teepee! This is a chance to really shine! Choose a funky chandelier or mount interesting wall sconces that add an interesting element to illuminate the room as well as your children’s imagination. Storage can be a challenge for any room in the home, but for playrooms it can be even more of a concern. Work storage into your design through shelves, baskets, or even pieces of furniture that have added storage compartments. You can even create a multi-tiered swing for stuffed animals to keep them contained but on display. Kids are creative and should be encouraged through art to express that creativity. Try an art display that is both functional cool looking and will encourage your child to create masterpieces that they can proudly look at on the wall every day. You can use frames or you can mount a changing display system to the wall. What do you think playrooms need? Tell us in the comments.